I think you’d find it with this mamma jamma. 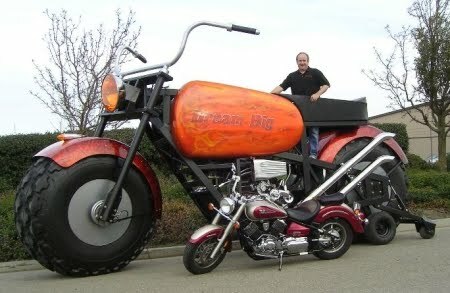 the world’s largest motorcycle is steered via a cage below the handlebars. Conclusion: The World’s Largest Rideable Motorcycle (as defined by GBWR) weighs more than me. This entry was posted in Uncategorized on February 10, 2010 by fatchicksings.